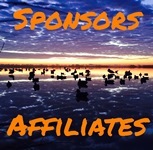 "SOUTH LOUISIANA'S FINEST WATERFOWL HUNTING & COASTAL SALTWATER FISHING"
Capt. 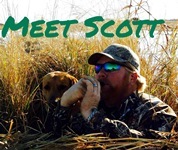 Scott Ritchey's Louisiana Outfitters invites you to come and enjoy our excellent guided waterfowl hunting for ducks and geese in Southwest Louisiana, as well as outstanding saltwater fishing for Speckled Trout and Redfish on famed Calcasieu Lake. Thank you for taking the time to browse our site and consider us for your next hunting or fishing outing! Our hunting guests have the opportunity to hunt on several prime, private access rice farms for ducks and Specklebelly geese. Our hunting lodge comfortably accommodates twelve hunters, and is located twenty minutes east of Lake Charles, putting our guests in close proximity to our private hunting grounds. 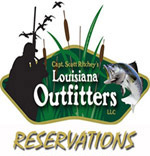 Louisiana Outfitters fishing guests will be fishing on Calcasieu Lake, which is known as one of the top Speckled Trout estuaries in the country. Our multiple fishing lodges comfortably accommodate up to fifteen fishermen, and are located in Hebert's Settlement on Calcasieu Lake, 20 miles south of Lake Charles. This convenient location puts our guest's just steps from our boats. An experienced and professional staff, along with fantastic meals will make your stay with us memorable, safe and successful. From Corporate outings, to enjoyable outdoor time with your family and friends, Louisiana Outfitters strives to be your outdoor connection! We look forward to hearing from you, and appreciate the opportunity to earn your business. © 2019, Louisana Outfitters LLC. All rights reserved.